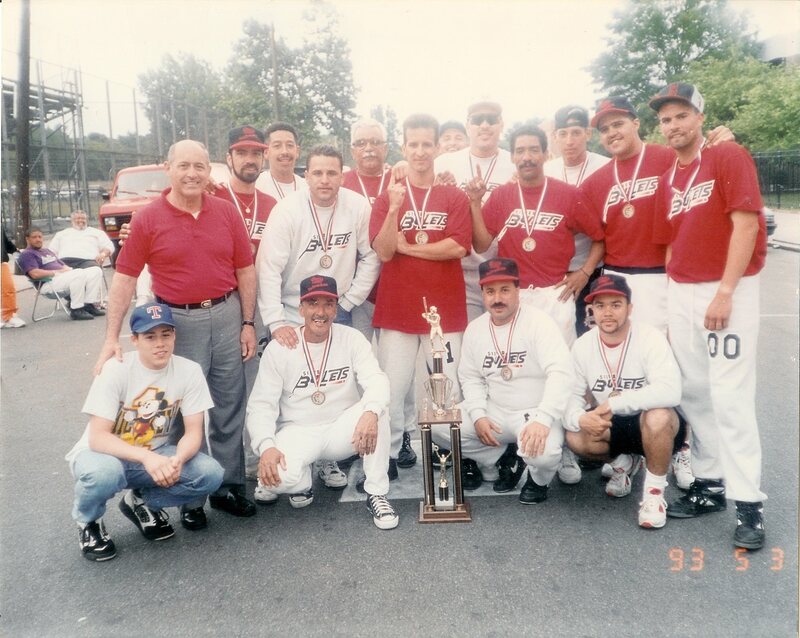 The Stickball Hall Of Fame strives to preserve Stickball history by honoring those members whose contributions have made this game possible and promoting unity within our Stickball community. 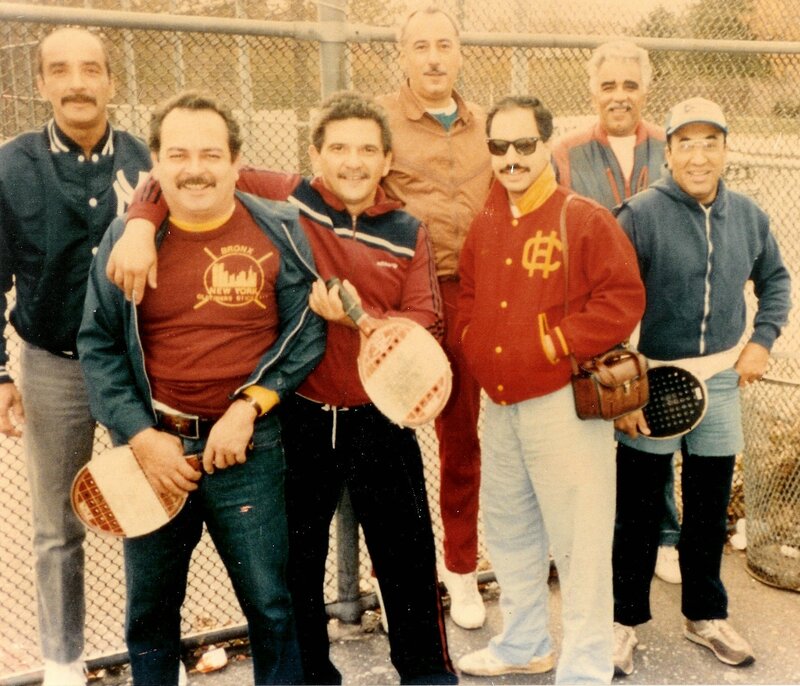 From stories told by our beloved Oldtimers to memorabilia passed down from generation to generation, Stickball remains a favorite pastime to many within our community. Once called a poor man’s sport Stickball is now embraced by many people from various backgrounds and professions. Stickball is known traditionally as a native NYC street game, but it is now played across the United States in Florida, California, New Jersey and Puerto Rico. Stickball has recently taken root in France with the New York Emperors Stickball League nurturing and encouraging our favorite pastime throughout the process. It is with this spirit that we aim to unite our extended Stickball family and ensure that our game continues for many generations to come. Working as a one we'll ensure that this game we call Stickball is played for many generations to come. Stickball. Not just a game... A Tradition! 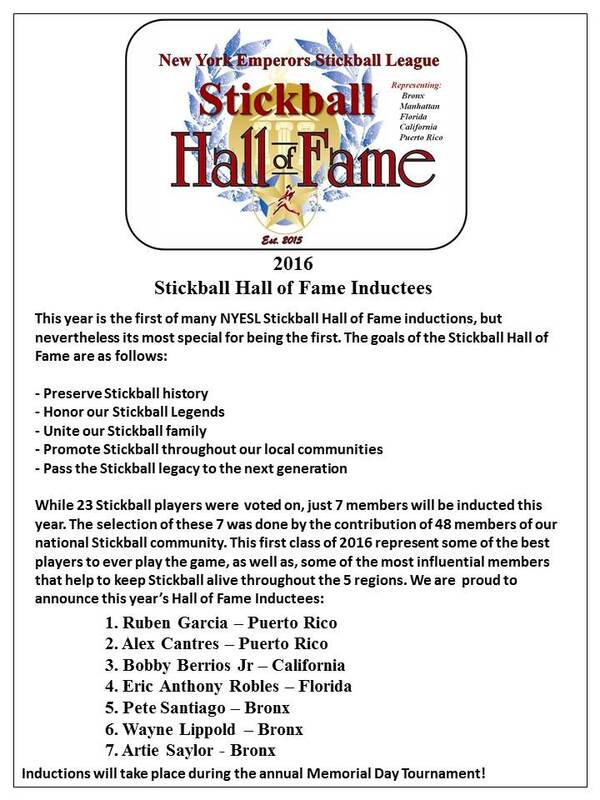 This year's NYESL Stickball Hall of Fame Ballot! 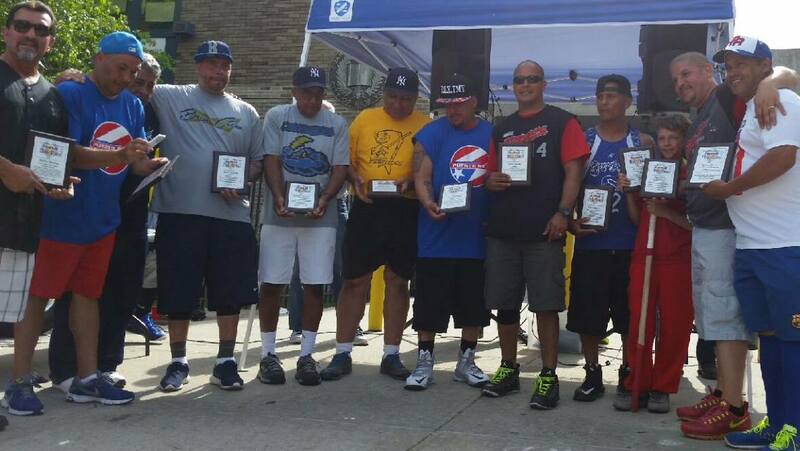 The NYESL Stickball Hall of Fame spans across 5 regions: Puerto Rico, Florida, California, Manhattan and the Bronx. Congratulations to all Hall of Fame nominees that made it into this year's ballot. With the help of 48 representatives to include 10 from 3 regions and 9 from 2 the voting process is now complete! 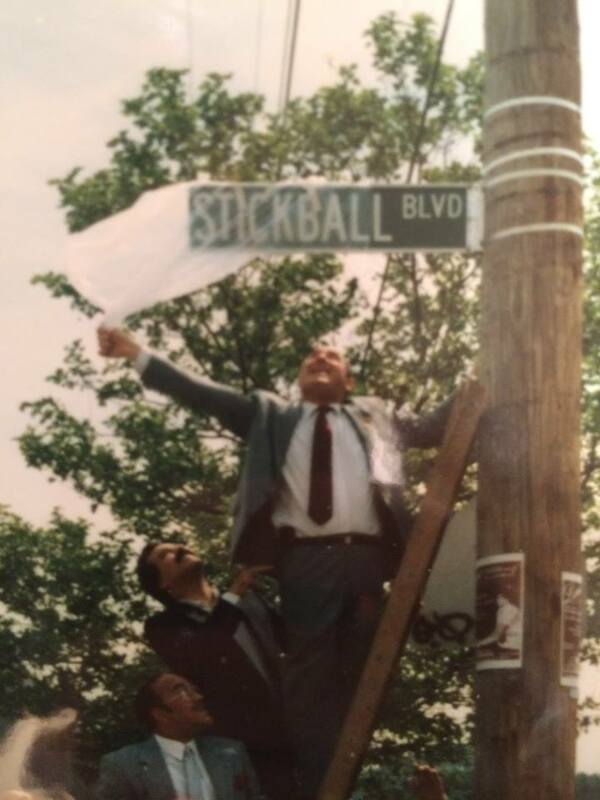 We now move to the tallying of the votes and select the new members of the 2016 NYESL Stickball Hall of Fame! 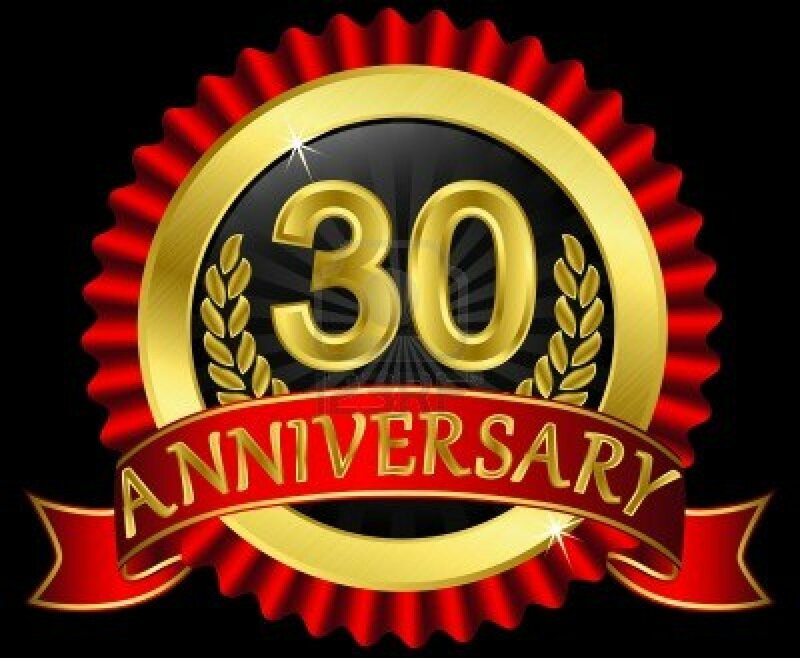 The inductions will take place during the 2016 Memorial Day Tournament in the Bronx, so come and join us to congratulate our Hall of Famers. It was not easy to select 5 nominees for some of the regions and even harder to be able to vote on 10 out of these nominees. 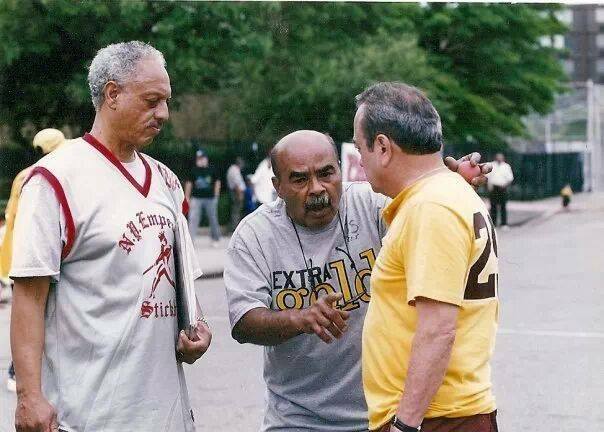 We take pride in recognizing those players, coaches and Stickball supporters that make the game what it is today. Thanks to all those who helped make this a reality and congratulations to all nominees! Stickball. Not just a game...A Tradition!! 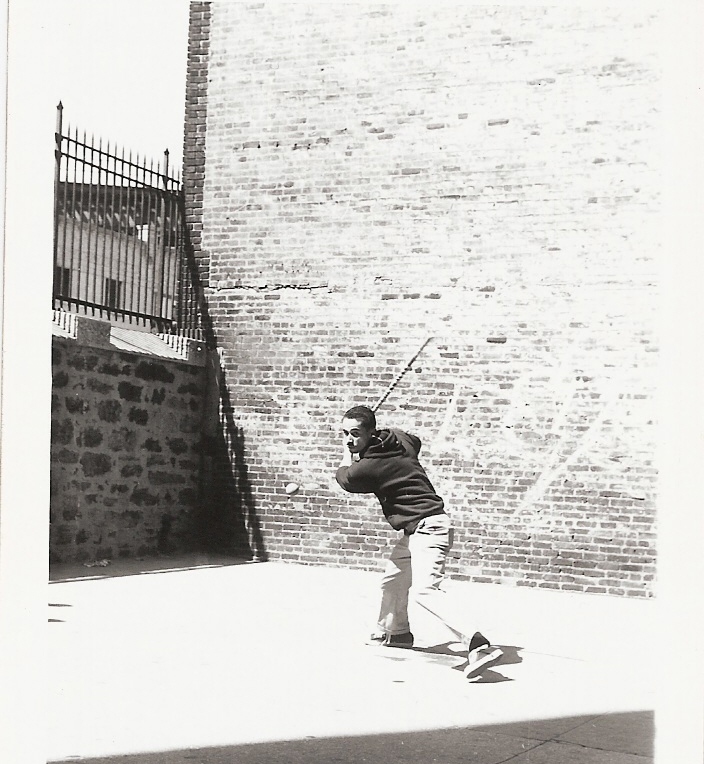 It was in September of 1951 and the stickball season was over. Some of the Jackson Knights were in PS51 and wanted to play a game, but were short a man. I was a kid playing out in the street and they asked me to play first base. This was the Jackson Knights, one of the best teams in the City, so I jumped at a chance to play with them. 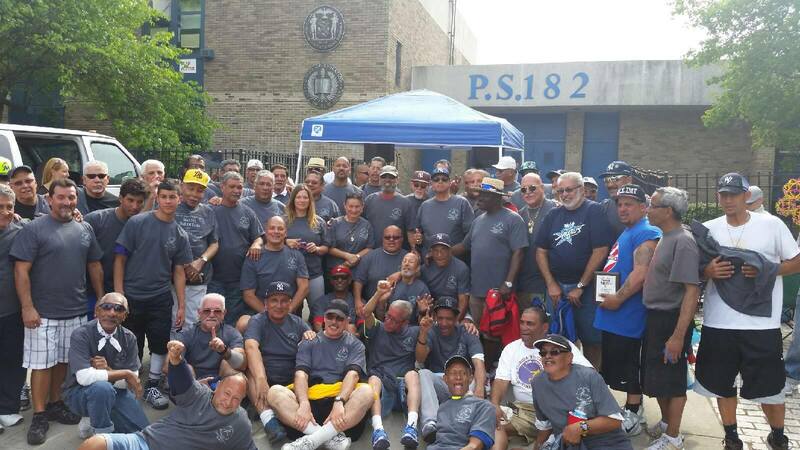 We couldn’t find a game in the South Bronx so we went down to 115th Street and Madison Avenue where we knew there would be stickball players. When we got there we told them we didn’t have a full team, not much money, but wanted to play a game. They said we’ll give you a game and put a team together. This was the first time I had seen a team that swung level or slightly down on the ball and hit one hard low line drive after the other. All eight of them could hit. Their fourth hitter was left handed and hit three line drives my way that I could hardly believe. The first two went about three feet to my right and the next one came straight at me, but hooked away over first base. Even though I was a kid, I was a good fielder and had fast reflexes, but these balls had so much flutter and wobble that I couldn’t get a hand on them. They were all over the place. 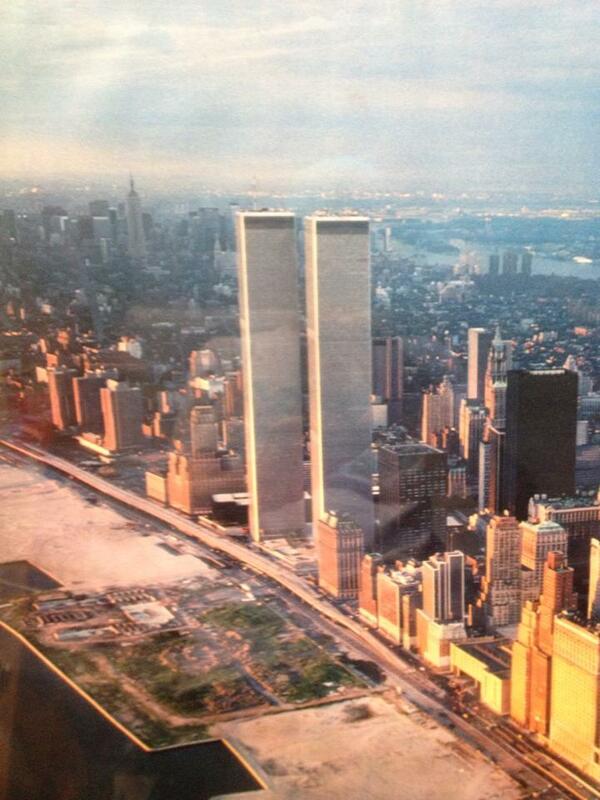 If they came straight, I probably could have knocked them down, but not with that flutter and wobble. I had never seen line drives like this. I didn’t play badly, but knew I was in way over my head in a game between two teams that good. When the game was over, I knew I had to start going to PS51 and learn to play real stickball from the Knights if I wanted to continue playing . During the week, I found out that left handed hitter was probably the best hitter in Spanish Harlem. From stories I heard over the years it probably was Lefty Gregory. When people talked about him they mentioned his name with awe he was so good. 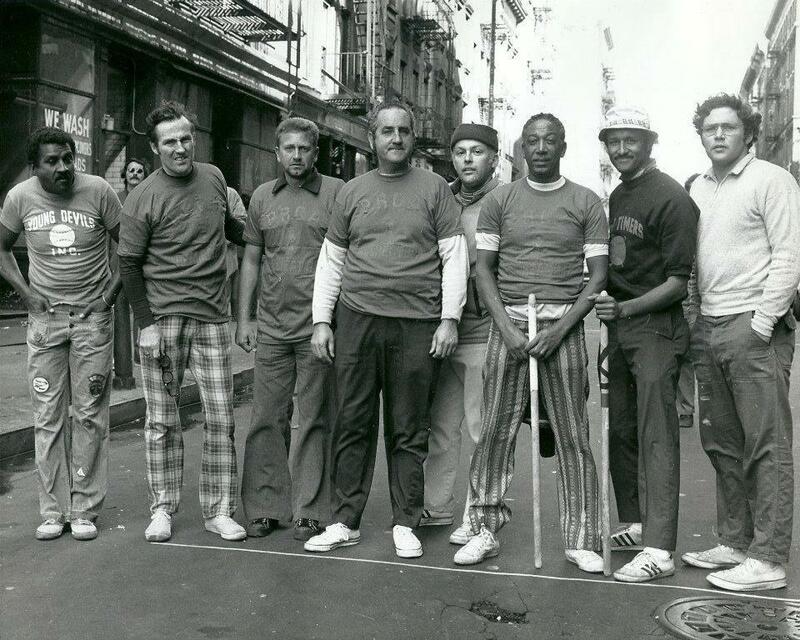 What a lesson I learned about real stickball that Sunday afternoon on 115th Street. People tell me that Carlito and Albie Santiago Jr. are very good hitters. I played with their uncle, Chibie and if they hit as hard as he did, I am sure very few first or third basemen in the NYESL want to be in front of a line drive or skidder they hit. If so, you will understand what happened to me on 115th Street. 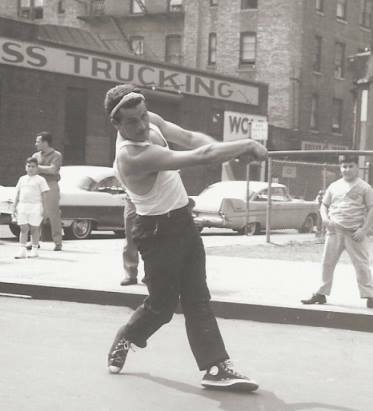 Since I mentioned Chibie, here is a picture of him hitting at PS60 in the Bronx in 1963.